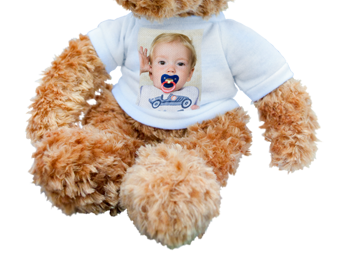 The teddy bear complete with your favourite photo makes a perfect present. This fluffy little friend is perfect for cuddling. 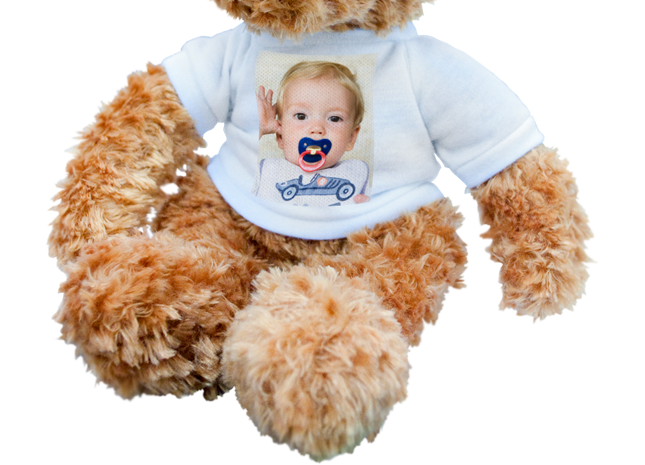 Add your own image to his cute T-shirt. 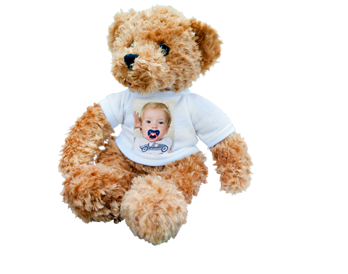 Guaranteed to please anyone, not just your little ones! 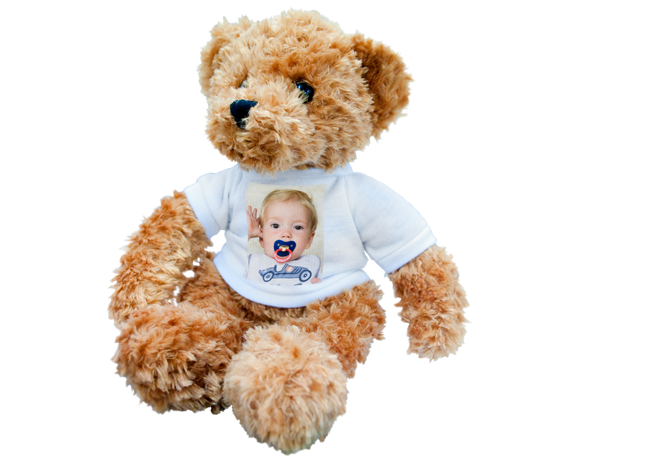 This very personal cuddly teddy is made from 100% polyester and can be washed at 30°C, including his printed T-shirt.